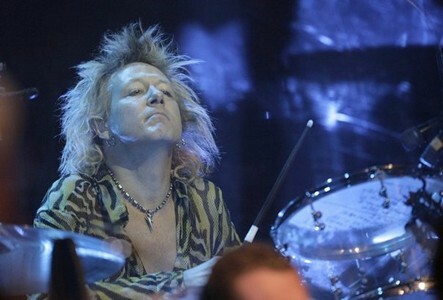 James Kottak, the energetic drummer for German legends the Scorpions, signed on after the band’s 1996 release Pure Instinct and the album’s subsequent tour. 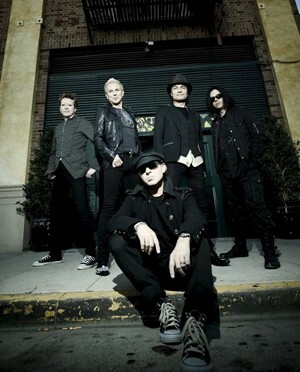 James, already known for his prior work with Wild Horses, Kingdom Come and McAuley Schenker Group, fit in perfectly and upgraded the drumming slot. Promoting the Scorpions farewell CD Sting In The Tail, Sleaze Roxx got an opportunity to catch up with James while he awaited a flight to Europe. The interview is short but sweet, as James proved to be another of the nice guys in the business. Check it out and enjoy. Sleaze Roxx: You guys recently released the new album Sting In The Tail — the band’s most consistent album since Crazy World or Face The Heat. James Kottak: Right. We’re really proud of the new album. It’s a return to the classic Scorpions of the late 70’s or early 80’s, the Blackout and Love At First Sting era. We weren’t really planning for the record to take that kind of direction but that’s just the course that it took. We had around 18 songs that were written for the record and I think what’s really important are the songs that we did not put on the album. Their exclusion made this record a stronger album in the end. The reception by the fans and critics has been just awesome. We can’t tell you how happy we are with the reaction we’re getting. 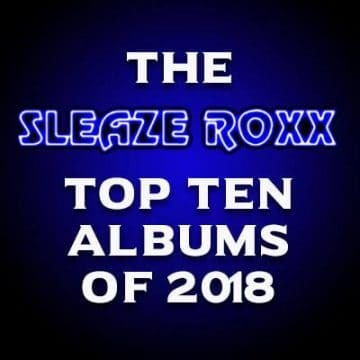 Sleaze Roxx: You touched on the songs that didn’t make it on the album. Sting In The Tail is basically a greatest hits album with new hits. It’s got the rockers, incredible ballads and stuff that falls in between. 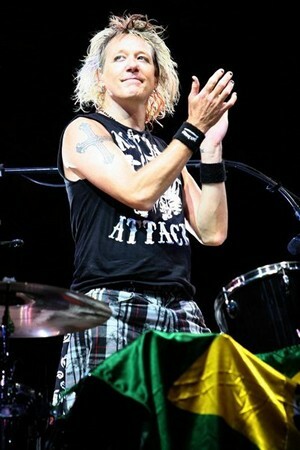 James Kottak: Thank you. The first four songs that we wrote for this record were actually dark. I call them dark songs because they were probably too heavy compared to the stuff we’ve done in the past. They were in the vein of “The Good Die Young”, but you can’t have too many songs like that. I love “The Good Die Young” but I’m glad the way things evolved took us away from where we were headed initially in the songwriting process. We also co-wrote with our producers, Martin Hansen and Mikael Andersson, who took the whole thing to an entirely different level. The project took on a fast pace and we were actually done, probably, within a couple of months. Sleaze Roxx: Was it your original intention for Sting In The Tail to be the Scorpions’ farewell album? And if so, how much additional pressure did that place on the band to dial it up a few notches? James Kottak: That actually wasn’t decided until after the record was completed. That decision wasn’t made until around November or December of 2009. We had been talking for the last year when this would all come to an end. We never seriously sat down and spoke about it at length. Our manager suggested that if we were going to call it a career that we should go out with a bang since this record turned out to be so great. The timing couldn’t be better and we have an entire tour ahead of us. Sleaze Roxx: Is it really goodbye? One thing that I told everyone is that the Scorpions deliver each and every time. You guys are one of the most consistent live acts that I have seen year in and year out. It’s almost superhuman at times. James Kottak: The thing about us playing live, when you have 10,000 plus people in front of you screaming their heads off, is it gives you an extra dose of adrenaline. No matter how tired you are, like you said, you feel like a superman. This is the real deal and after this there is no more Scorpions. I know there are many bands out there that claim that it is farewell, then they never leave, or they get back together after a year or two. Sleaze Roxx: This tour will take you guys on a three year jaunt. How many North American legs will there be? James Kottak: Well we will be here this summer and then we’ll be back again next year. If it were up to me I’d say, ‘let’s tour North America for 6 months’, I love here so much. I’ve been in the band for 15 years and with each album that I’ve been a part of it takes at least two years to tour behind the album. In fact we just finished touring behind Humanity Hour 1 in November of 2009 if you can believe that! So to do this properly we’re looking at… at least three years of touring. We are not doing an Ozzy Osbourne farewell, this is it and that’s why we are making sure we do this right. Once it’s over it’s really over. Sleaze Roxx: The Scorpions aren’t a political band by any means, but you guys have become this ‘world band’ without being a U2. How did that happen? James Kottak: The one thing about the Scorpions is that they’ve never gone away. There have been periods where they’ve taken 3 years off, but they’ve never been away longer than that. They love what we do… I love what we do. It’s a way of life, a lifestyle, and we really enjoy it. We’re like a gang of friends and when you’re with family and friends like this you feel like you can do this forever. You always read about bands that don’t get along and travel separately because they don’t like each other and they don’t see each other unless they are recording or on stage for the show. Scorpions are like a great marriage — I guess that’s the best way to put it. Sleaze Roxx: As you stated earlier you’ll be touring North America this summer. There was talk of Ratt opening but it looks like Cinderella is on the bill for some dates and Dokken on others. James Kottak: We are using these bands based on availability. 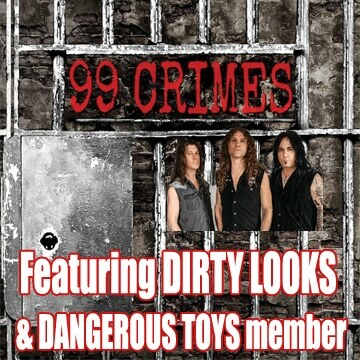 Tesla will also be doing some shows, Ratt will be doing some shows and Dokken others. It just comes down to the bands that complement our shows, because the show is first and foremost. Sleaze Roxx: I have to add that I saw you opening for the Scorpions, Metallica and Van Halen on the Monsters Of Rock in ’88 when you were playing with Kingdom Come. I saw you guys at The Kingdom which has since been imploded. What a great tour that was. James Kottak: Right, it was. We actually just had Kingdom Come open some shows for us in Russia this past year. It was great seeing Lenny Wolf again and his band. We’ve even been toying with the idea of doing something like that Monsters Of Rock on this farewell tour. Who knows if it will happen but that would be so cool. 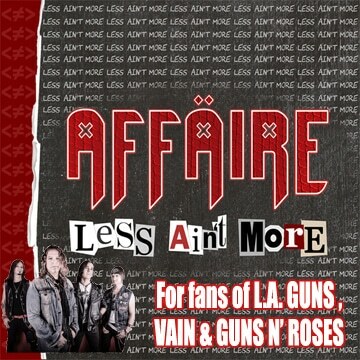 Sleaze Roxx: About how many songs off the new album will you guys be performing on the North American leg of the tour? Will there be any twists in the set list for the fans? James Kottak: I don’t want to give too much away but I will say that we will be doing probably at least 3 songs off the new album. We’ll of course be doing all the classic songs that you know and love. It’s just a matter of time and how many songs we can fit into 90 minutes. I think we’ll be doing 22 songs or so. 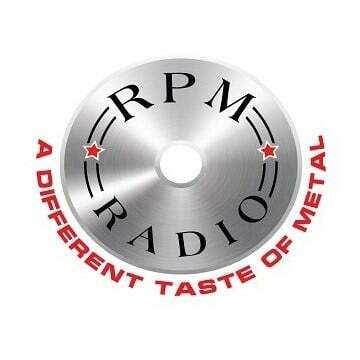 Sleaze Roxx: You guys recorded the Wacken show a few years back where you brought back some of the former members. If this truly is the end of the road, this would be a great time to get another DVD out to document The Scorpions’ end don’t you think? James Kottak: It’s a very strong possibility. We want to document everything this year, next year, and the year after that. We want to give the fans a chance to see what really goes on behind the scenes. I’d love to have someone on the road with us for a few days — that would be great. I don’t know how this will all happen, but I do think this tour definitely needs to be documented. Sleaze Roxx: Do you envision a concert movie then? James Kottak: Definitely. I’d also like to do a few shows where we bring back Uli John Roth, Michael Schenker and Herman Rarebell and make it a family affair. This is the beginning of a long stretch and we have lots to do. Sleaze Roxx: Once this whole thing winds down for good in a couple of years or so, what do you have waiting in the wings? I know you have your band Kottak with your wife Athena. Are there any other things that you’d like to do? James Kottak: Like you said, I have a band Kottak and we have a new album coming out in June called Rock And Roll Forever. It will be out May 14th in Europe. That has been my baby for several years, Athena and I have been doing that for a few years now. Anytime the Scorpions aren’t touring or recording I do that. I’m constantly being asked to play on other people’s albums, I presume I’ll be doing a lot more of that. I’ve been asked to do drum clinics around the world, I’ve never done that due to time constraints but I will do some of that now. I’m just so flattered that people would like me to come in and talk about drums. I’m sure I’ll wind up playing drums full-time with somebody, but after playing with the Scorpions playing with anybody, no matter how talented and gifted they are, would be like a step down. I love writing music, I love playing drums, I love all of it we’ll have to see what comes up in addition to Kottak. Sleaze Roxx: James, thank you for taking time to answer some questions. We love the new album, have a safe flight and we’ll see you in August. James Kottak: Thanks Ruben, it’s been a pleasure and I’m glad you like the album. When you come out to the show drop by and say hello.